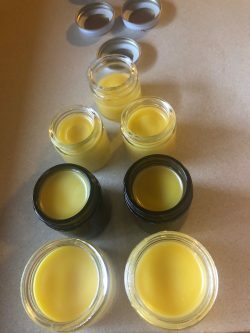 This salve is great for chest colds, flus, congestion, and just better breathing. All Organic Ingredients: Calendula infused olive oil, jojoba oil, sweet almond oil, beeswax, and essential oils of eucalyptus grove, tea tree, peppermint, rosemary, and lemon. Please contact Bobbi if interested.